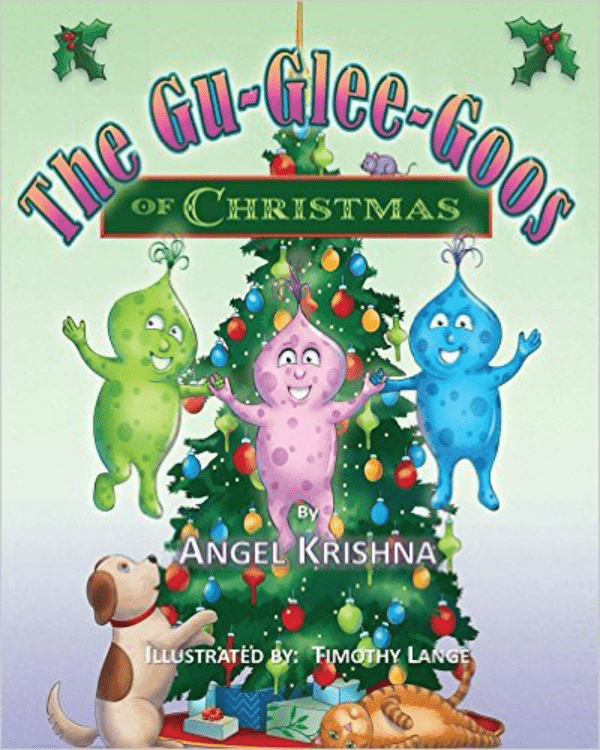 I’m reviewing 2 children’s books teaching life lessons by the author Angel Krishna called Monkeys and Crocodiles Play Baseball and The Gu~Glee~Goos of Christmas. What happens when you need something but the only way to get it is to ask for help? That is what this book is about. A group of monkeys come to their usual spot on Sunday to play baseball, but they’re missing something very important. Now they must ask a group of crocodiles for help in getting it. 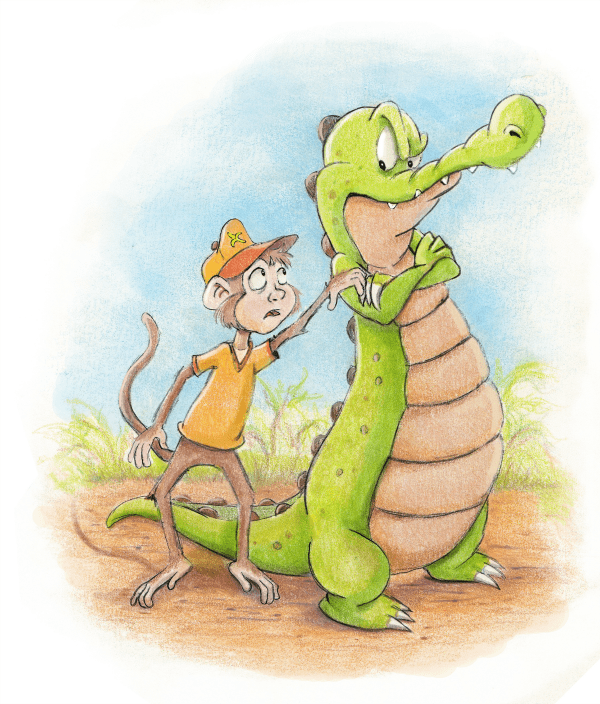 The crocodiles say no, not unless we can get something in return! 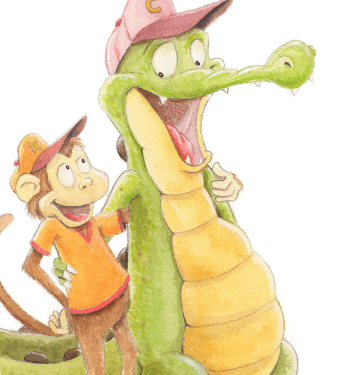 Upon hearing what the crocodiles want, the monkeys are surprised. Now they have to figure out what to do. Do they say no and not play baseball anymore? 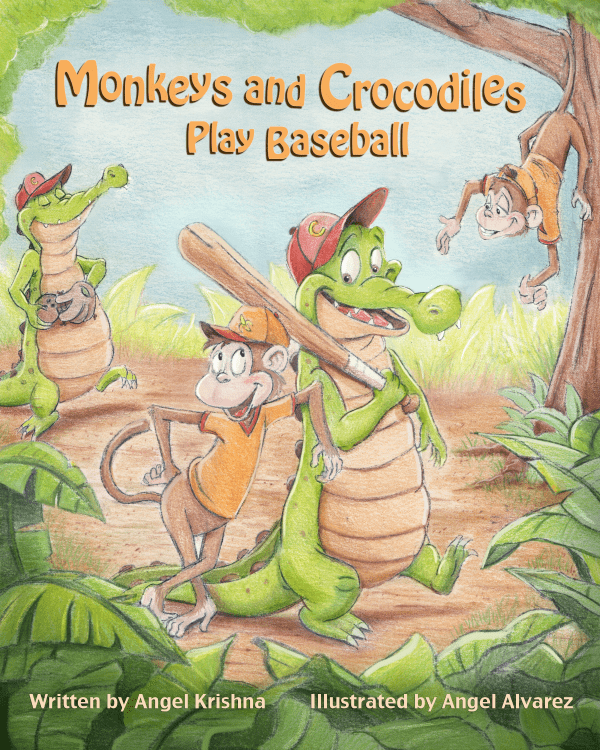 Do they give the crocodiles what they want, get what they want, and then go play baseball? What do you think they’ll do? The life lesson: Communication is key! When your kids’ friends come over, do they make a mess and then leave before cleaning up? If so, then you would want the Gu~Glee~Goos around, they come and clean everything up. Unfortunately they’re only in a book. So what would be the next best thing? Maybe you could ask them to start cleaning up 10-15 minutes before it’s time to leave? Maybe tell them to put one thing away before they drag out another? When the animals go crazy and start tearing everything up on Christmas, the Gu~Glee~Goos come out and clean everything up, put everything back in its place, and don’t leave until it’s back to normal. The rest of the book shows children helping people; from helping them with groceries, shoveling the snow from the sidewalk, and even helping the teacher. The life lesson: Always help someone in need!